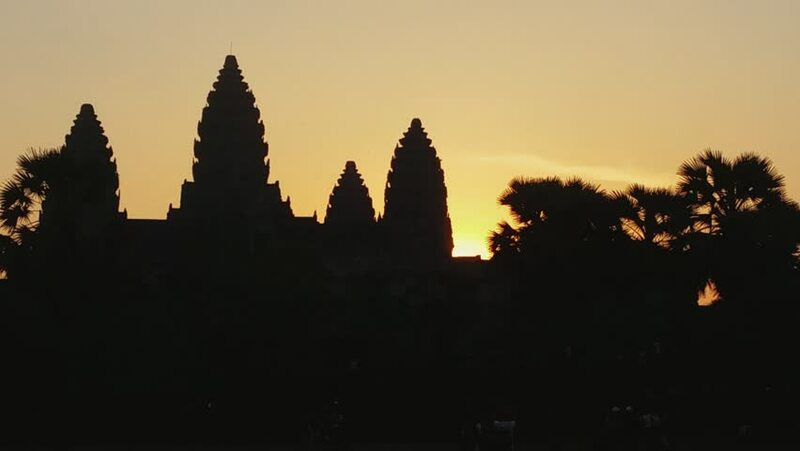 hd00:06Sunrise in Angkor Wat, a temple complex in Cambodia and the largest religious monument in the world. UNESCO World Heritage Site. sd00:13Purple clouds hang over Angkor Wat temple in Cambodia during golden hour.